Tips for organizing kids stuff - craft materials, toys, books, clothing etc. Thats's the golden rule for a neat and organized home. 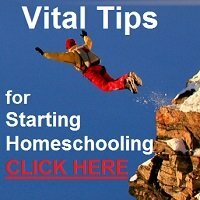 Keeping kids stuff organized is not that simple, because not only must everything have a place, but the kids must be trained to keep the things in their designated places - but child training is a topic of its own. Let's focus on organizing kids stuff. Ideally, the stuff you are organizing, be it craft materials, toys or clothing should be sorted and classified, easily visible and labelled while in storage. Where space is limited, you need to limit the amount of stuff that you keep. Sometimes its a good idea to get rid of an old item, for every new item you get. This is not always possible, but with old toys and clothing this policy can work to keep volumes from increasing endlessly. With both toy sets and crafts, its a good idea to keep most of it out of reach of untrained children who will turn your carefully implemented organization back to chaos. However, keep a small selection of toys and craft stuff accessible for them to use unsupervised. The rest you can bring out when it suits you. Keep one medium toy box in a handy place for them. Special books that are family treasures should also be kept on a bookshelf, but especially with curious little children, its a good idea to have a selection of board books in a basket or container where they can help themselves and browse at their leisure. A selection of toys and games for each age level to create a 'learning environment' at home! 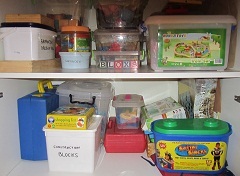 To keep toys tidy, instead of a large toy box, it is better to have a variety of small containers, preferable transparent plastic boxes with tight-fitting lids to keep bits and pieces of games that are in sets together e.g sets of farm animals, army soldiers, wooden blocks, cookie cutters, marbles, lego blocks, toy cars etc. It looks really chic if you can buy a bunch of matching containers and label them accordingly, but if you are frugal and 'green', then you will use anything in your home, such as old ice-cream containers, margarine tubs etc. The cardboard boxes that puzzles come in are notorious for splitting at the corners. Store puzzles in plastic containers. Write the name and how many pieces it contains on the container e.g. Snow White 50 pieces, Winnie the Pooh 30 pieces etc. Cut out the picture from the original puzzle-box lid, fold it and store it in the container with the puzzle-pieces. Plastic basket-like containers or plastic crates are good for soft toys and dolls' clothing as the vents allow air to circulate and prevent the items getting musty or mouldy. If you don't have a cupboard available for storing toys, find a place where you could put up a shelf along a wall or in a corner. You need space for organizing kids stuff! Another great idea, is to buy a shoe hanger with transparent plastic pockets for storage and hang it behind a door. This works very well for small toys, like action figures, small cars and other items that your children play with often and want to be able to reach by themselves. It is also a solution for craft items such as glue sticks, pipe-cleaners, pom-poms, stickers, crayons, markers etc. Once again you can use up all the old glass jars, tin cans and plastic containers that your groceries generate. Use them for beads, crayons, pencils, pipe-cleaners, paint brushes, gluesticks - anything that you use for arts and crafts. Even things like shoeboxes, cardboard take-away trays, egg boxes and muffin trays can be used for sorting and storing small bits and pieces. Of course, for your convenience you can buy compartmentalised cases, like tool-boxes and container kits and these can be very handy, particularly if they have transparent lids. Ideas to tame the clothing monster buy buying wisely and storing kids clothes selectively. If you have a secret that can help others with storing or organizing kids stuff, please upload a picture or two and share your ideas. Use the form below. Have A Good Preschool Idea to Share? 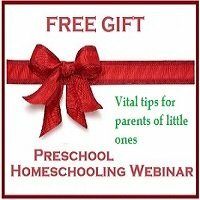 Perhaps you have an activity to develop certain preschool skills, or to encourage art or music appreciation, concentration or listening skills. Whatever the category, share your idea here along with a good, clear photo, to show it, if you can. NOTE: Submissions that are too short, (less than about 10 sentences) may not be published, so give a good explanation. It can rather be edited and shortened if it is too long! 250 words, or more, is the ideal length! Your idea will appear on a web page exactly the way you enter it here. You can wrap a word in square brackets to make it appear bold. For example [my story] would show as my story on the Web page containing your story. Do you have some clear pictures or graphics to add? Great! Click the button and find the first one on your computer. Select it and click on the button to choose it.